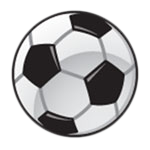 Go to www.albertasoccer.com to register for either Mini course or Entry Level course to become a Centre Referee. Go to emsamain.com/coachref/refs-corner/ for information on various training courses available. Our sister community Twin Brooks is also offering a Mini Ref course on April 16, 2016. Please register at the Alberta Soccer Association website.